I finally made the decision to go mirrorless, now that this technology has been developing so fast and has arrived at a level where it can easily compete with classic DSLRs. It seems that this is the future technology, which pushes the limits even further. Because I was working with Olympus DSLRs, I decided to switch to their micro-fourthirds system, which keeps my costs of switching systems lower because I can still use my old lenses with an adapter and slowly exchange the heavy DSLR lenses by more compact and lightweight micro-fourthirds lenses (it’s really awesome how small and light these are!). 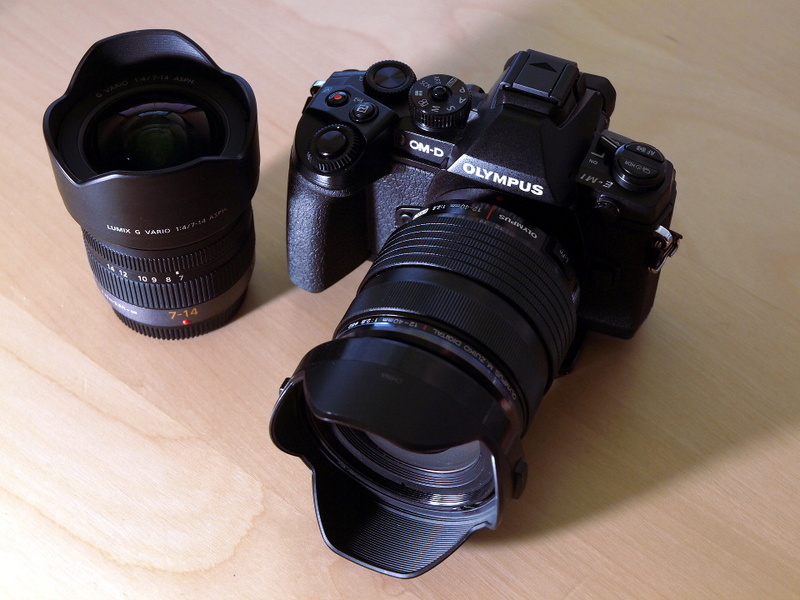 Here is the equipment I start with: Olympus OMD E-M1, 12-40mm f/2.8 kit lens, Panasonic 7-14mm f/4 wideangle zoom. This entry was posted in Equipment, News, Travel, Trips and tagged 12-40 f/2.8, 7-14 f/4, Camera, E-M1, Equipment, lens, Olympus, Olympus OMD E-M1, OMD on 13/11/2013 by phil.